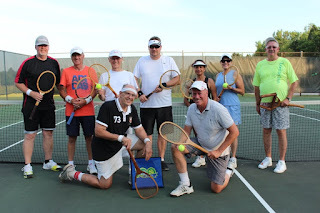 With lovely weather, we enjoyed a great night celebrating the 100th Anniversary of the OTA on Friday June 29th at the Alliston Tennis Club.The Drop-In nights was open to members and non-members with players enjoying using many of the old familiar raquets of the past. The names Wilson Jack Kramer, Dunlop Maxply, Chris Evert, Slazenger, Spalding, Prince and Donnay rekindled youthful memories for all. Instead of just limiting play to one court, players used them on all the courts. Once the cobwebs were shaken off, there were many lively rallies and games throughout the evening. 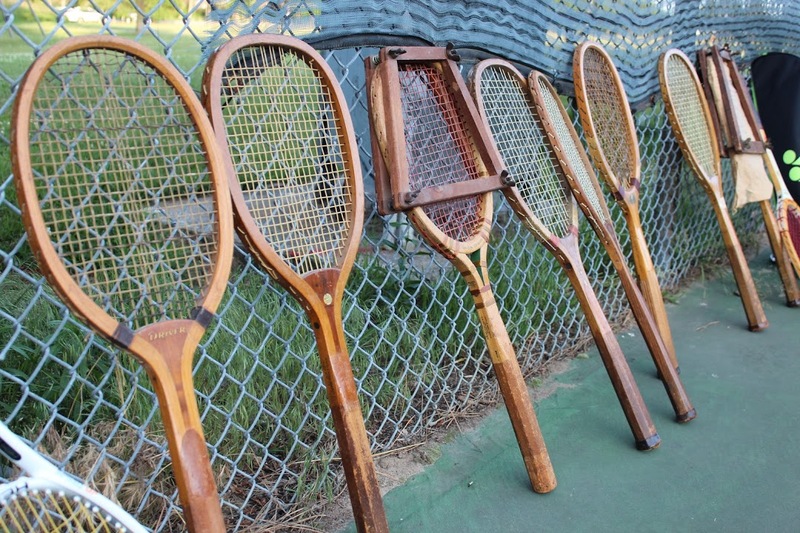 The highlight was provided by Mike Cooper, who brought his parents' wonderful collection of vintage tennis raquets to display for the members. 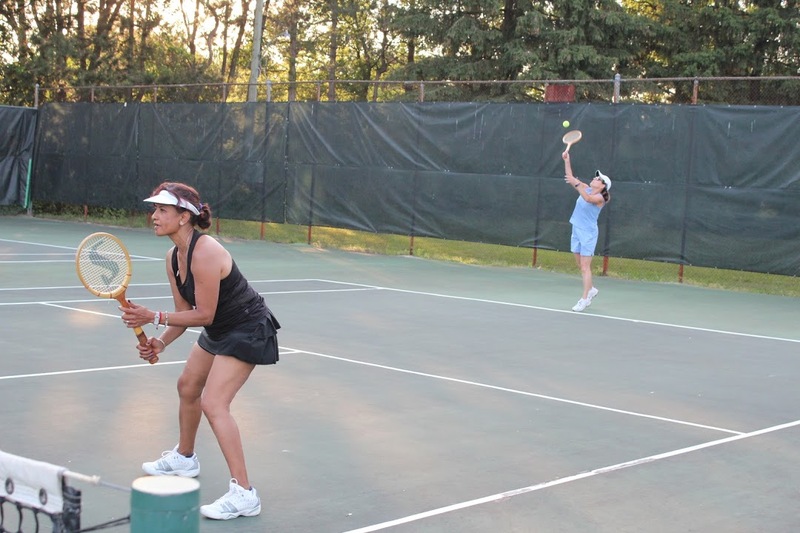 His father Alex built many courts in North York in the 1960'3 and 1970's and wrote many articles on tennis. Mike played with a Slazenger raquet that his mother Grace used to become a Tennis champion. He hoped there was still some magic left to help him win a few more games. Special thanks to Cassandra, Deb, Chris, Gord, Mike, Roger, Ron,and Shane for making it a fun night. Sounds like there might be a retro tournament in the future.